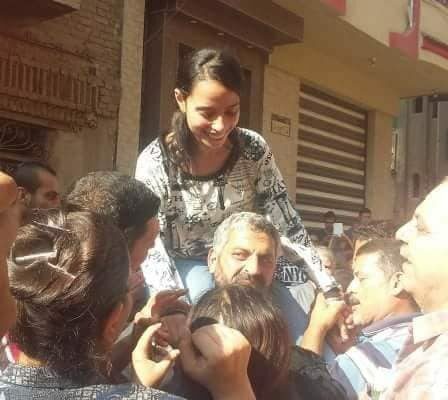 The Delta town of Zefta was yesterday the scene of jubilation at the return of the Coptic young woman Amany Magdi, 20, who had gone missing last May. Magdi had headed to Banha University where she is enrolled to sit for an end of year exam, and never returned home. Her family reported her disappearance to the local police who insisted that the young woman had converted to Islam, and that was why she left home, they insisted. The family refused to believe this claim and demanded to see their daughter and listen to her first-hand. Yesterday, the family received s surprise call from their daughter who informed them she was on her way home. 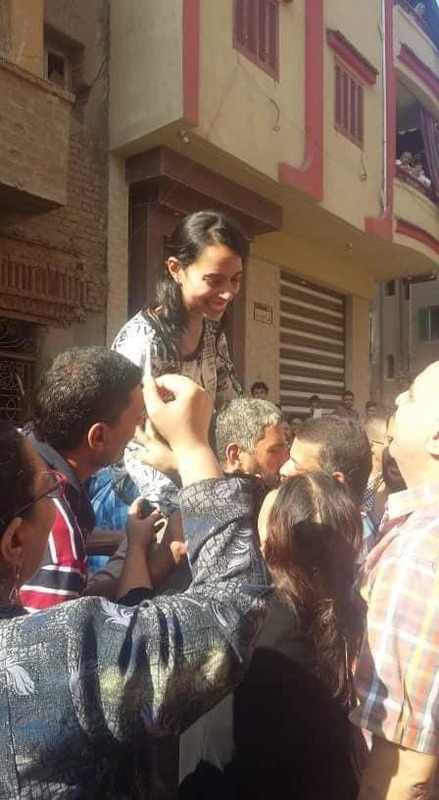 , Magdi contacted her family and arranged with them her return home. They received her with ululations of joy; her overjoyed father carried her on his shoulders and toured the neighbourhood streets in happiness and pride. The details of the young woman’s disappearance are not yet known, but the family said it would announce them later. Copts have been bitterly complaining of a recent string of young women disappearances, which they describe as kidnappings. Many of the women are underage, meaning it is not legal for them to take life-changing decisions such as marriage or conversion. 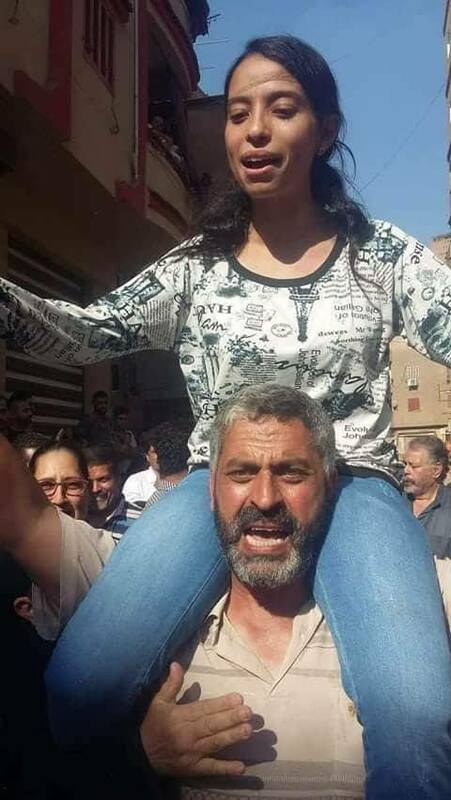 Yet the Copts insist that the police are reluctant to hand them their daughters, under the pretext that the women have married Muslim men and converted to Islam. The polices dawdle on the disappearance cases till the girls reach the legal age for them to marry or convert, by which time they are pressured or threatened by their captors to do so and cannot go back to their original religion or families.